Every industrial operation has processes where operators need to use industrial computers with compatible peripheral devices. This is to ensure that critical operations can be performed efficiently and productively. As a matter of fact, utilising equipment such as industrial-grade keyboards can enhance a user’s work productivity and ensure consistent product quality [Brightline Technologies]. But, despite its rugged features, keyboards can have technical issues which can reduce operational efficiency. So, if you encounter any keyboard problems, getting help from a technical support is the right solution. They have the skills needed to analyse, determine the cause and they can provide effective solutions to fix these issues. Apart from this, in what other ways can a technical support assist in fixing device issues? Well, find out more on this blog and learn some essential tips from a tech support when keyboards do not function properly. Imagine this common scenario. Logistics operators work double-time to meet the daily product deployment quota. Then, suddenly, one of the systems processes slows down due to a loose industrial keyboard interface connection. What would an operator do? Typically, operators call technical support to quickly solve such keyboard issues. So, what can a tech support specialist do to fix these kinds of keyboard errors? Here are some common issues in which a representative can help you with. Device driver incompatibility is one of the most common causes of keyboard issues. This usually occurs when using a third-party software or if the computing device did not shut down properly. So, the keyboard may become unresponsive. But, through a technical support, you will be provided with the right software which can restore the keyboard’s functionality. There are also instances where a motherboard firmware update may not recognise the installed software. So, again, this can lead to an unresponsive keyboard. If you suspect that this may be the case, contact a tech support specialist and ask for a step-by-step process on how to address this critical issue. A keyboard may also lose all functionality during operations without any obvious causes. This type of scenario may happen if the keyboard cable connection became loose. Initially, you can try removing then reconnecting the keyboard’s cable and see if it restores the device’s function. But, if the problem persists, ask a tech support specialist about what they can do to help you with this issue. Maximising industrial operational efficiency relies on professional operators and functioning computing equipment. But, technical issues such as unresponsive keyboards can be one of the top reasons to hinder several operations. That is why fixing this kind of hardware issues should not be taken for granted to avoid further system errors. 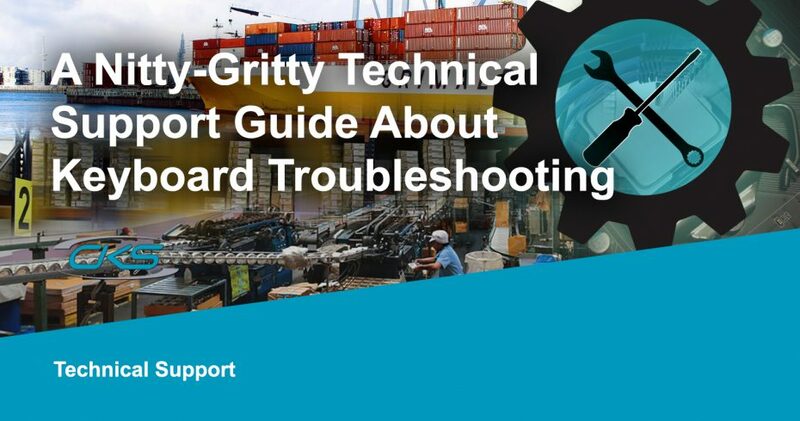 Contact a technical support today for more troubleshooting tips on your industrial keyboards.